People from Philly are almost as fanatical about our soft pretzels as we are about cheesesteaks. 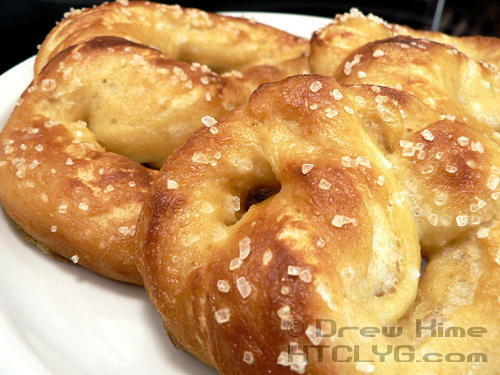 The funny thing is we all agree on pretty much the exact same pretzel. And since the only way to get it here in Cleveland is to order a case online I figured it was time to figure out how to make my own. Soft pretzels start like every yeast bread recipe, meaning you have to proof the yeast. Use a half-cup of warm water (105° – 115° F) and mix in the sugar, yeast, and half the flour. The sugar is so the yeast has something to eat. 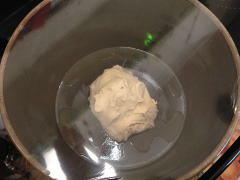 The flour is so you can see the bubbles forming as the yeast multiples. 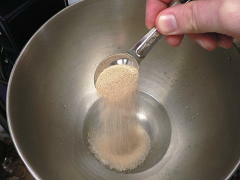 This step is just to “prove” that the yeast is still active and reproducing well. 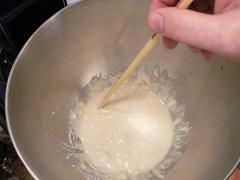 The first time I did this recipe I skipped the proofing step. Big mistake. I had the water either too hot or too cold, and the dough never rose. Yeast gets really sticky, so I use a chopstick to stir it. 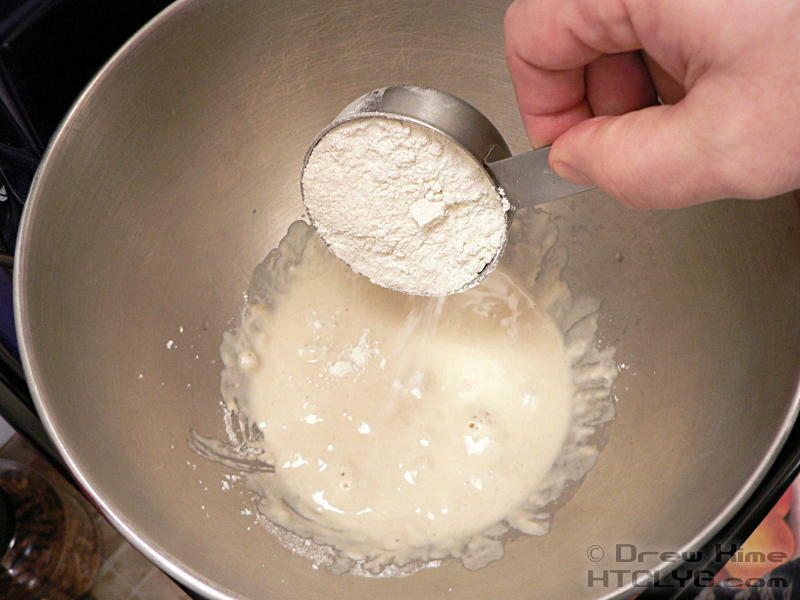 Less for the yeast to stick to. If you don’t have a chopstick, you can use the handle of a mixing spoon. After about 10 minutes you should see bubbles coming to the top of the mixture. 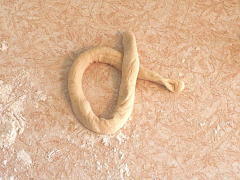 That means your yeast is going. Add the rest of the flour, the salt, and the butter. Mix on medium for about five minutes, until the dough is smooth and stretchy. I’m using the paddle instead of the dough hook because this is a pretty small batch. 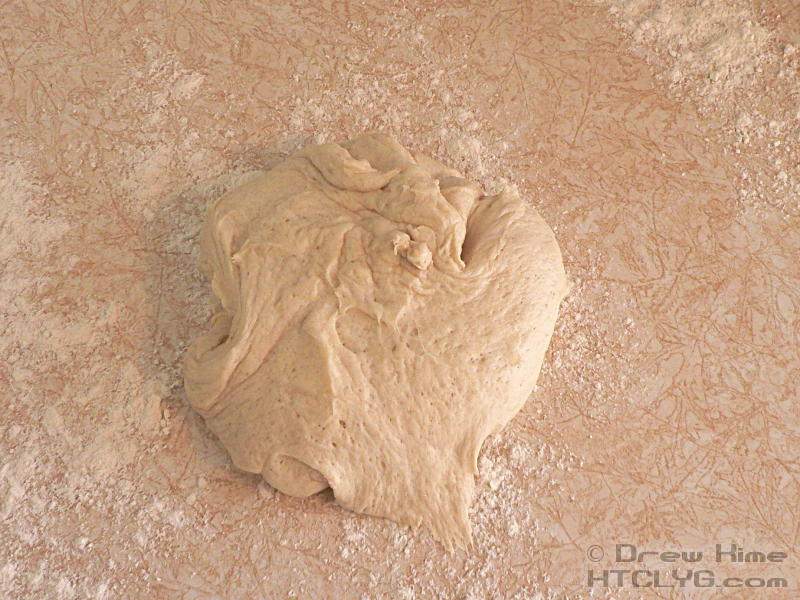 The dough hook takes forever to knead a really small batch like this. 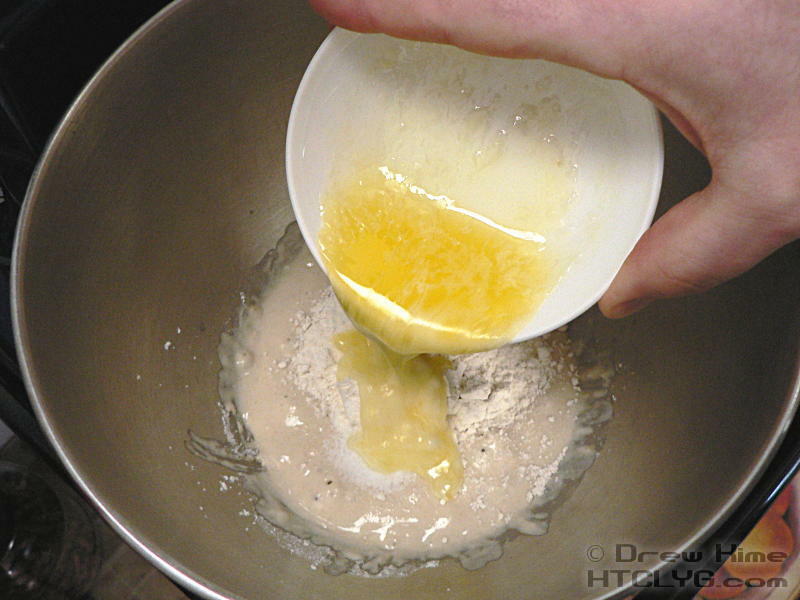 When the dough is ready, scrape it out into a clean bowl with a few tablespoons of oil in the bottom to keep it from sticking. 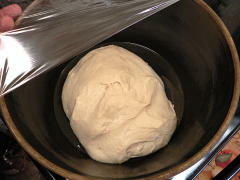 Cover with plastic wrap or a wet tea towel to keep the dough from drying out, and set the bowl in a warm place for the dough to rise. Inside your oven, turned off but with the light on is a great place for raising dough. Those little lights produce a surprising amount of heat. And a new tip I just got from a reader last week: If it’s warm out, put the bowl in your grill. The sun on a black metal lid means it’s usually nice and warm inside there. Let it rise until the dough has doubled in volume — about 45 minutes. Stretch into a long, thin shape, and cut into 4-8 even pieces. 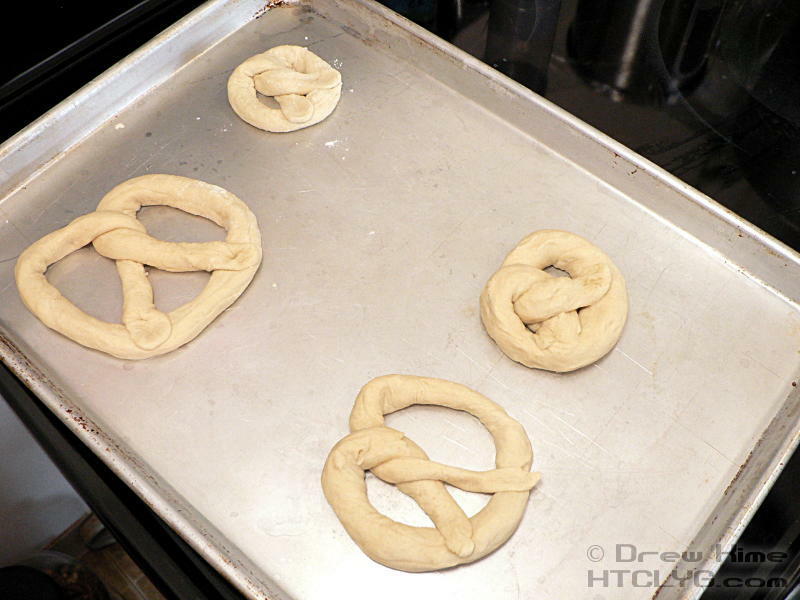 You can do 8 small pretzels, 4 big ones, or something in-between. I went with 6 pieces. 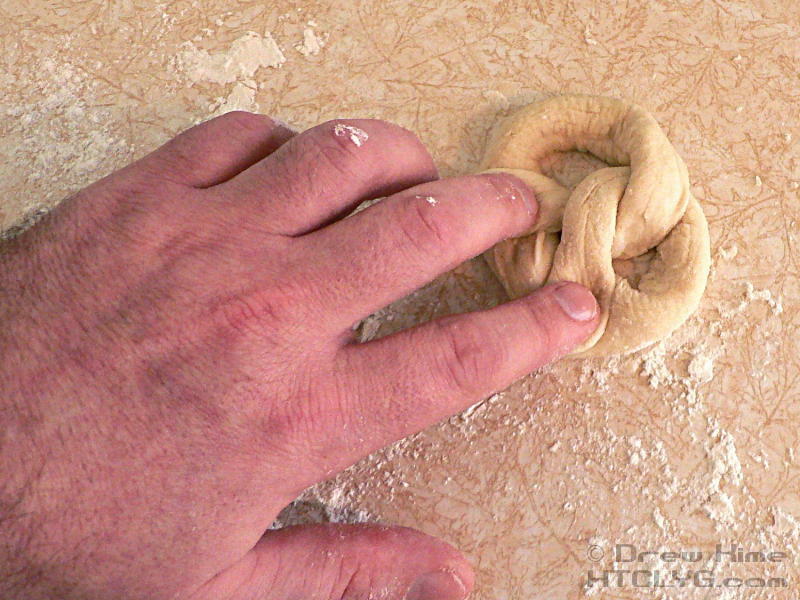 Roll each piece out into a thin rope about the thickness of your pinky finger. 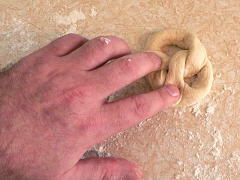 Roll from the center outwards. Fold them down and press hard to get the ends to stick. 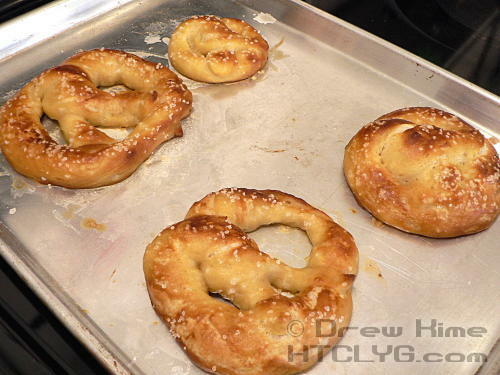 I did two small pretzels like that, then combined the other pieces into two larger ones. 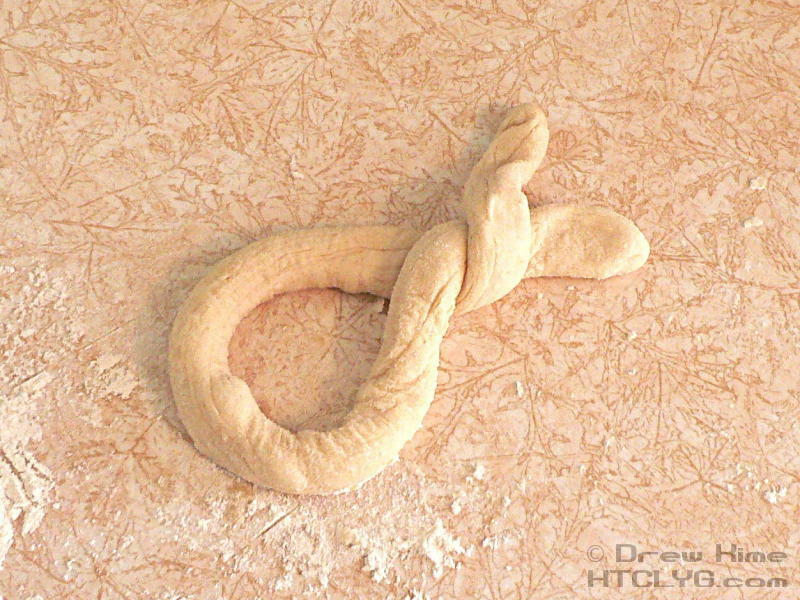 Place the twisted pretzels on a baking sheet and put them in the freezer until they are very firm, if not completely frozen. 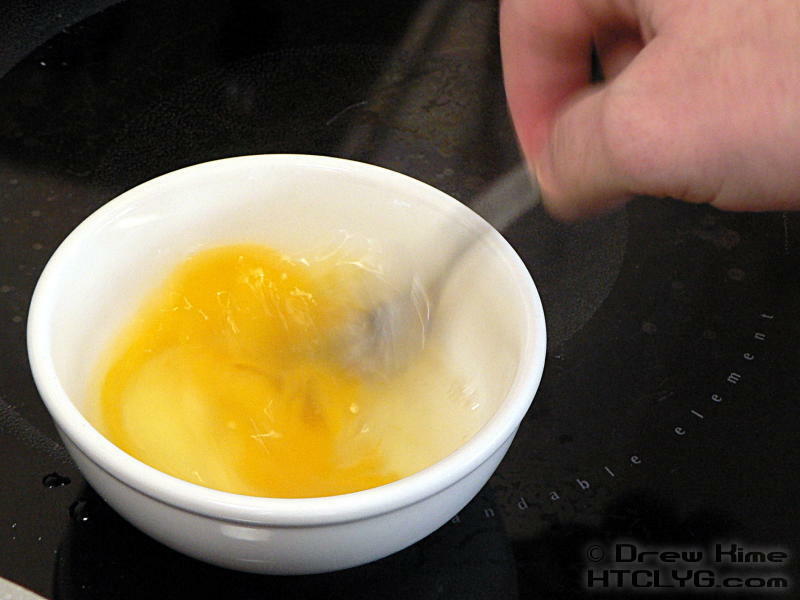 Freezing them first makes the next step — poaching them — much easier. 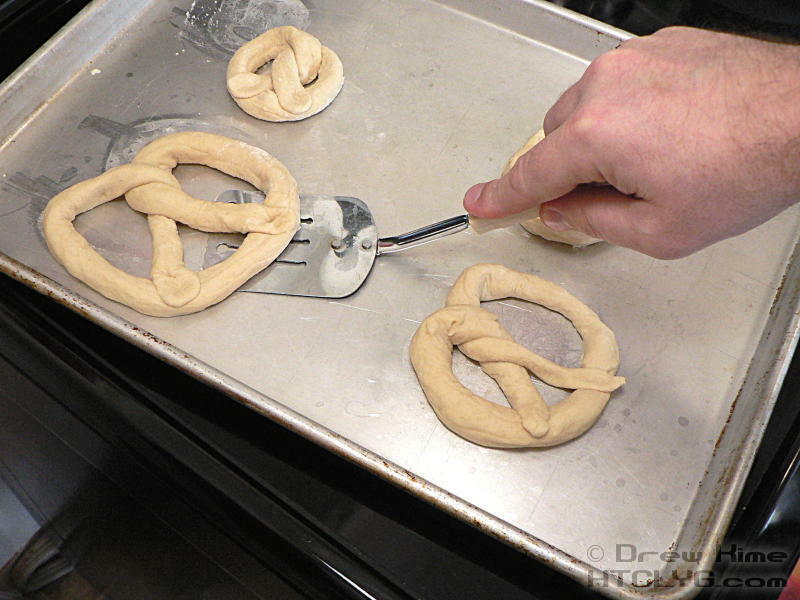 Before starting that step, make sure you can get all the pretzels loose from the baking sheet. 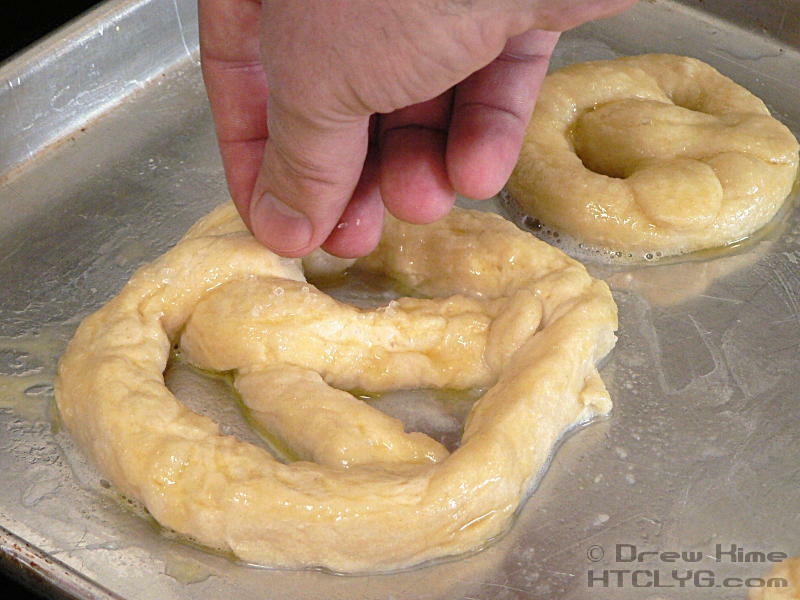 Pretzels get their delicious, dark brown crust from being poached in a high-pH solution. 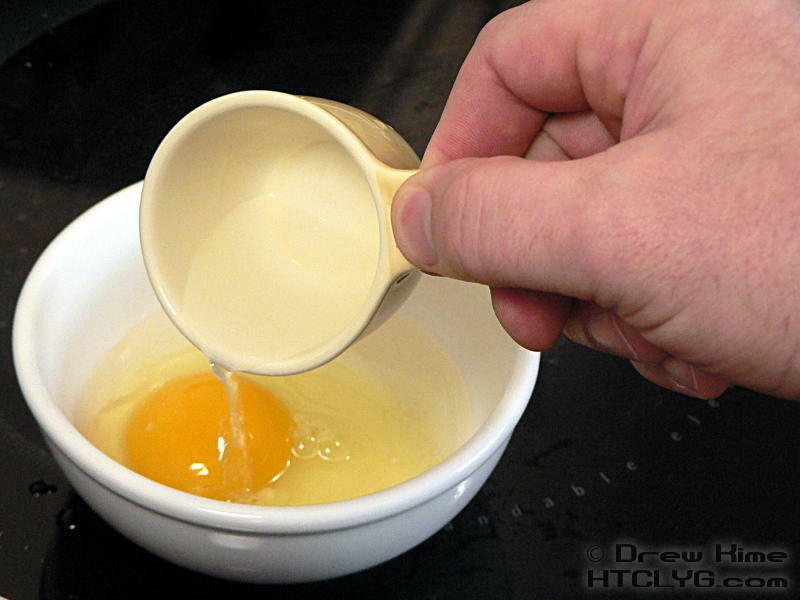 Lye would be great for this, except that it’s poisonous in small concentrations, so you don’t want to use it in the kitchen. Instead, we’re going to use baking soda. Put a quarter-cup of it into 10 cups of water and bring to a boil. While that’s going, combine the egg and a tablespoon of water and beat together to make an egg wash.
Once the water comes to a rolling boil, dunk each pretzel in for about a minute. At this point it would have been really useful to have a spider skimmer to lift them out. I thought the spatula would be fine. For the small ones, it was fine. The big ones were a bit of a pain. Lesson for next time: Get a skimmer. 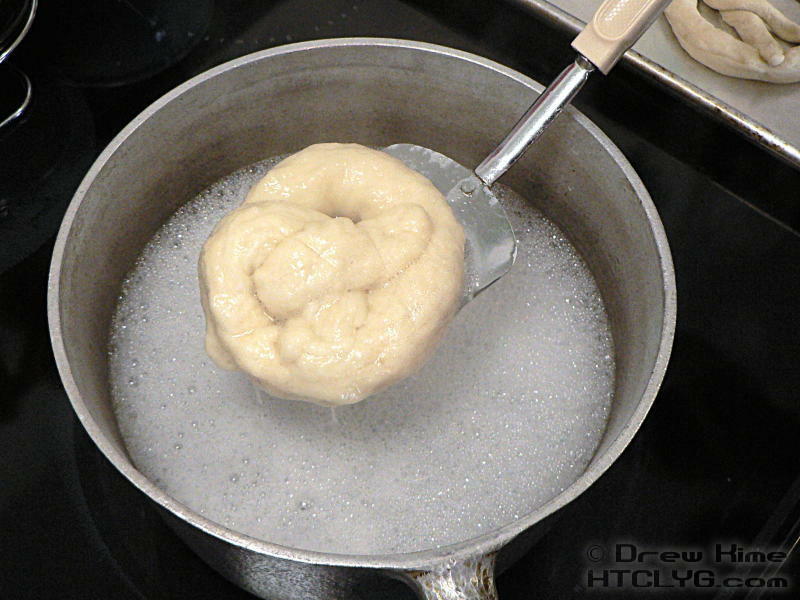 After each pretzel is poached, let it drain for a few seconds, then place it on a greased baking sheet. 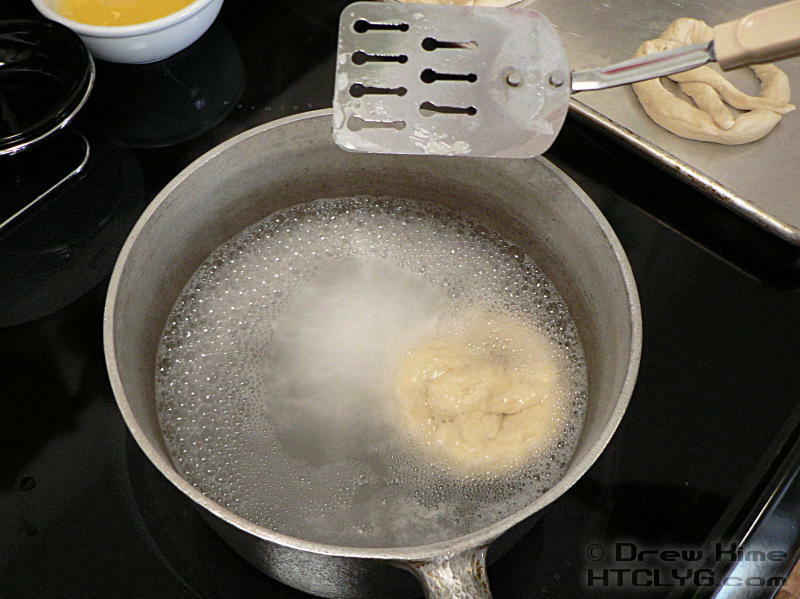 That’s the next thing I did wrong, I didn’t grease the baking sheet. I just put them back on the same one they were frozen on. They will stick. 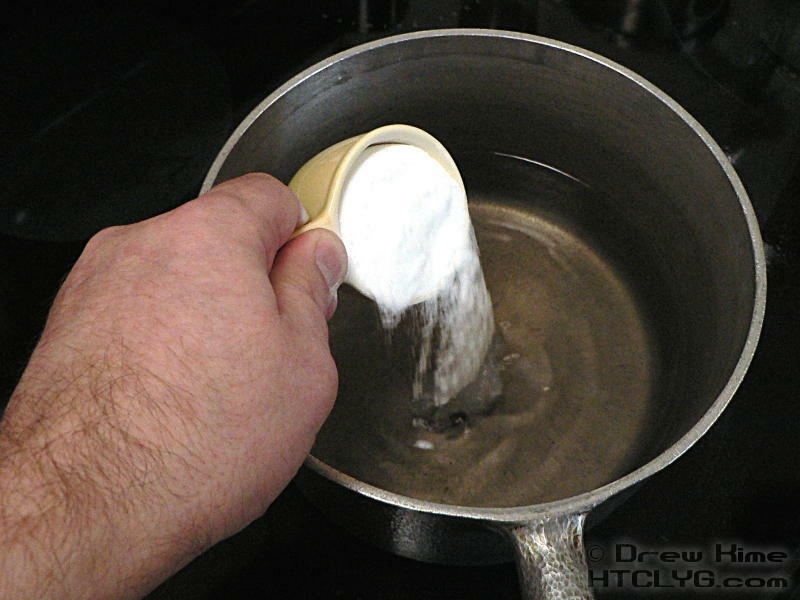 So make sure you grease the pan. 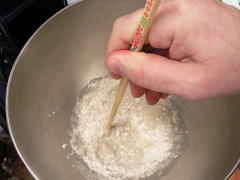 And don’t think these will be like cookies and you can use parchment. Jenni tried that. It doesn’t work. 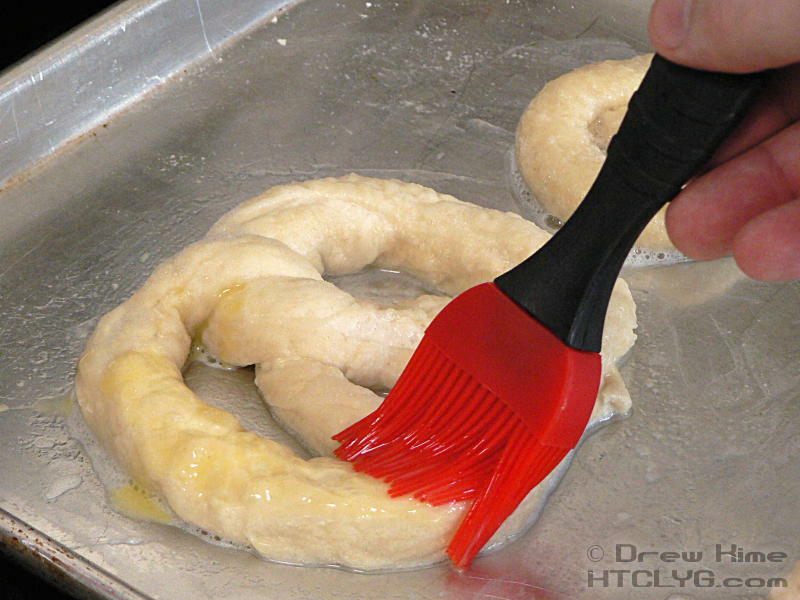 Now that your poached, drained pretzels are on your greased baking sheet, brush on the egg wash. This will give them a nice shiny finish, and it also gives the salt something to stick to. 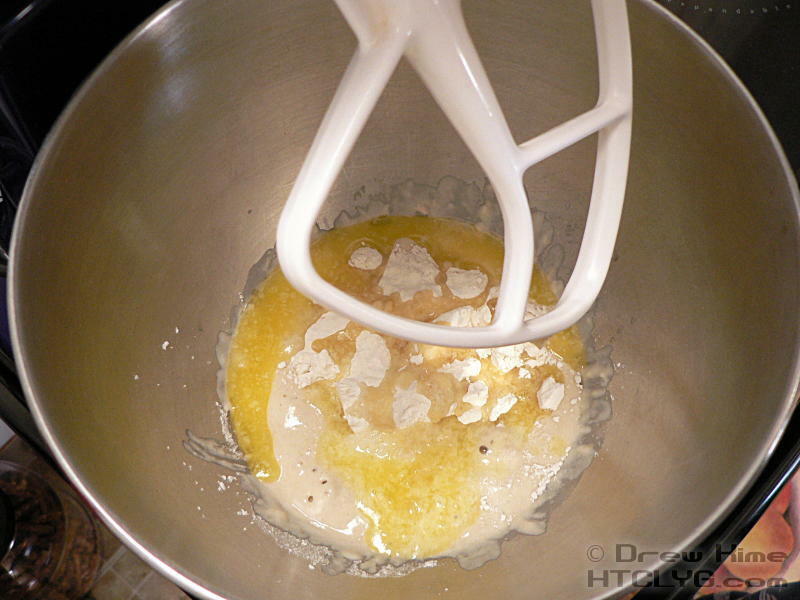 Add as much salt as you want. In fact, go a little overboard. 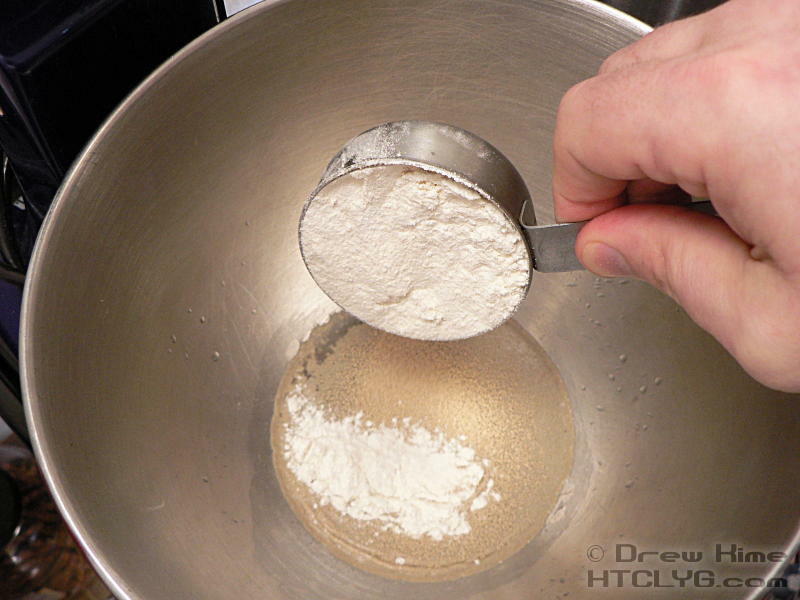 You can always knock extra salt off. It’s hard to put more on without baking them again. 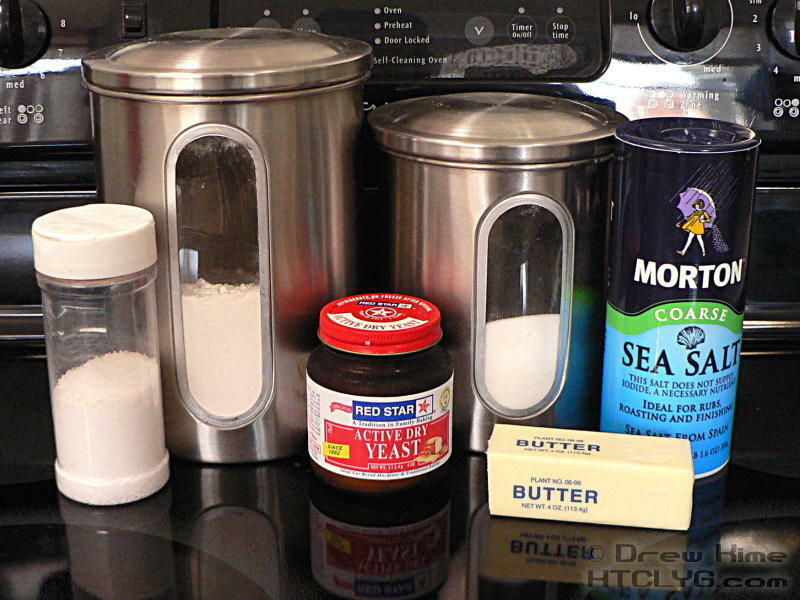 You can buy pretzel salt at some specialty stores, or order it online if you can’t find it locally. But I prefer sea salt. Morton coarse sea salt is the perfect size for pretzels. Plus, it’s translucent, like a crystal, and looks really cool on the finished pretzels. 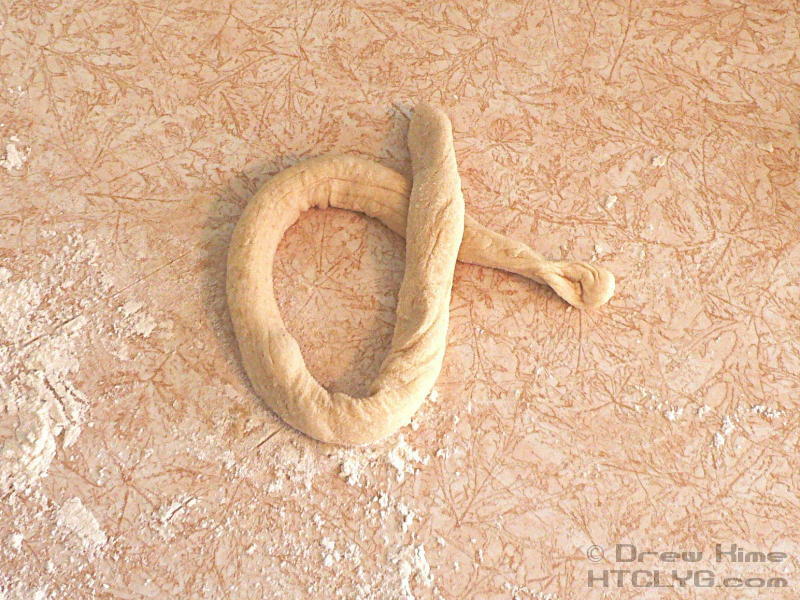 Bake at 400° for about 15 minutes, until deep brown and … well, pretzel colored. 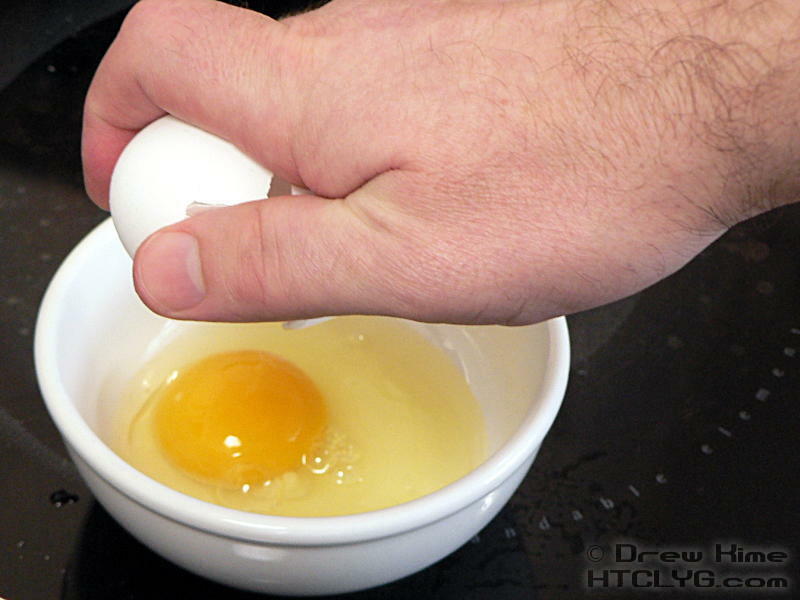 I’m assuming you know what they look like or you wouldn’t be trying to make them. Those could have done with another couple of minutes. I was worried about burning them, but I decided that a little over-done would have been better than a little under-done. By the way, look at the one all the way on the right. See how it looks sort of closed up? That’s on purpose. I’ll show you why in a minute. Remember what I said about the salt looking like crystals? Check this out. You can click the picture for an even closer look. And that one that was closed up? 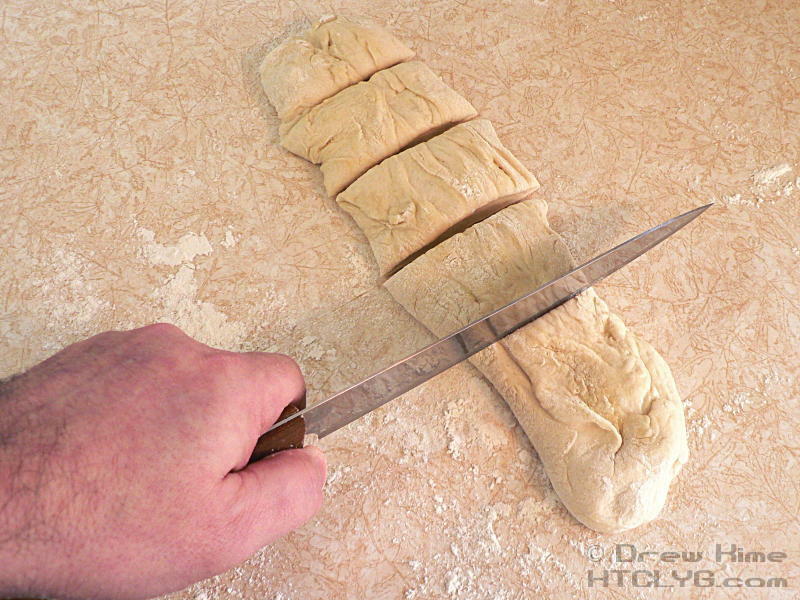 Cut it in half like a burger bun. Add spicy brown mustard and a burger. 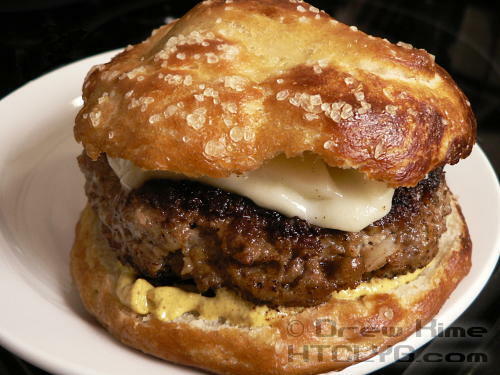 I had to knock most of the salt off of this, but the texture was really cool with a burger. If you’ve been looking for a way to change up the plain-old burger, give this a shot. I could see some people really loving this. 1) Look close at that link for the pretzels … “categoryId=1&productId=1”. You think maybe that’s the most popular thing they make? 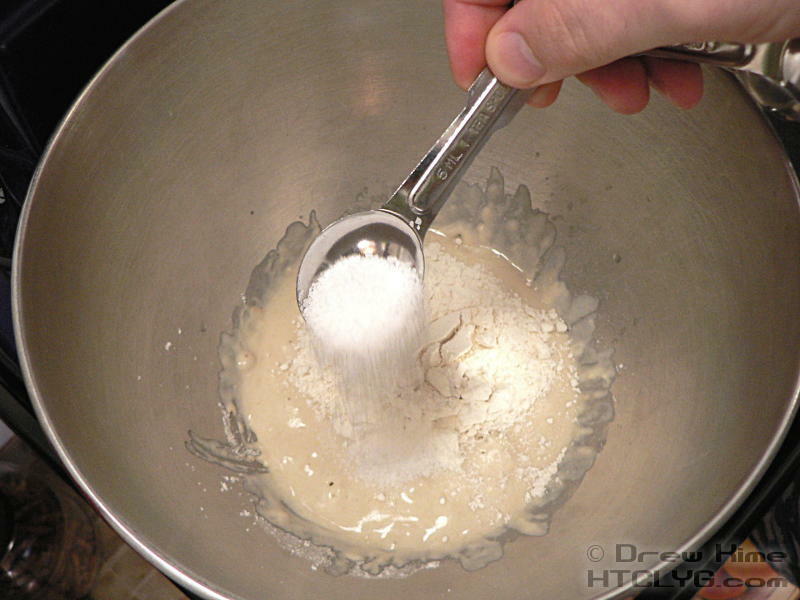 Use a half-cup of warm water (105° - 115° F) and mix in the sugar, yeast, and half the flour. 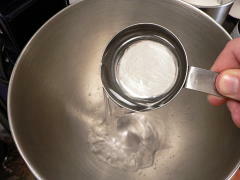 Let rest for 10 minutes until the yeast activates and starts bubbling. 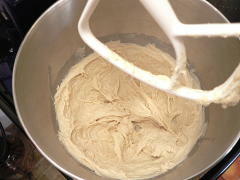 Stir in the kosher salt, the butter and the rest of the flour and knead for 5-10 minutes, until smooth and elastic. 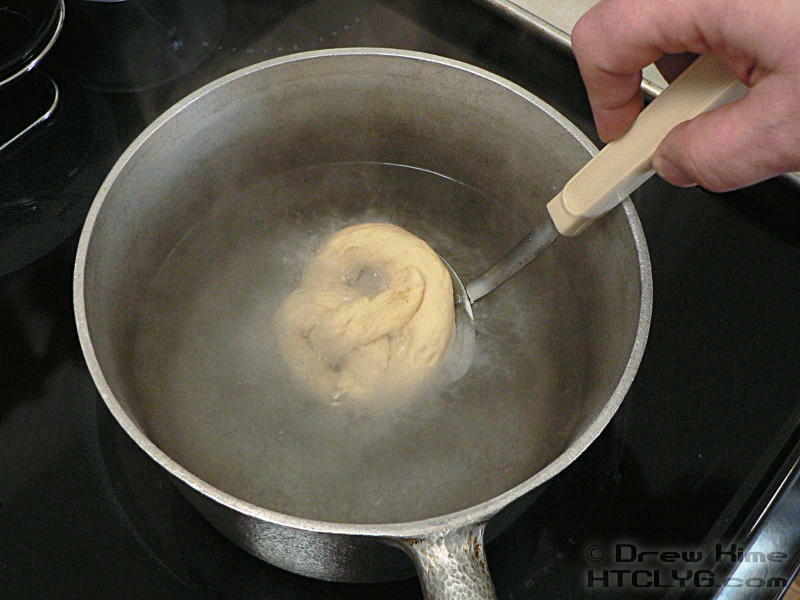 Turn out into a clean bowl with a few tablespoons of oil to keep the dough from sticking. 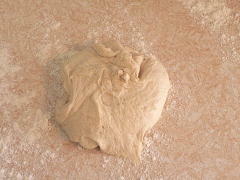 Cover and place in a warm spot to rise until doubled in volume. Turn out onto a floured surface and divide into 4-8 equal pieces, depending on how big you want the pretzels. 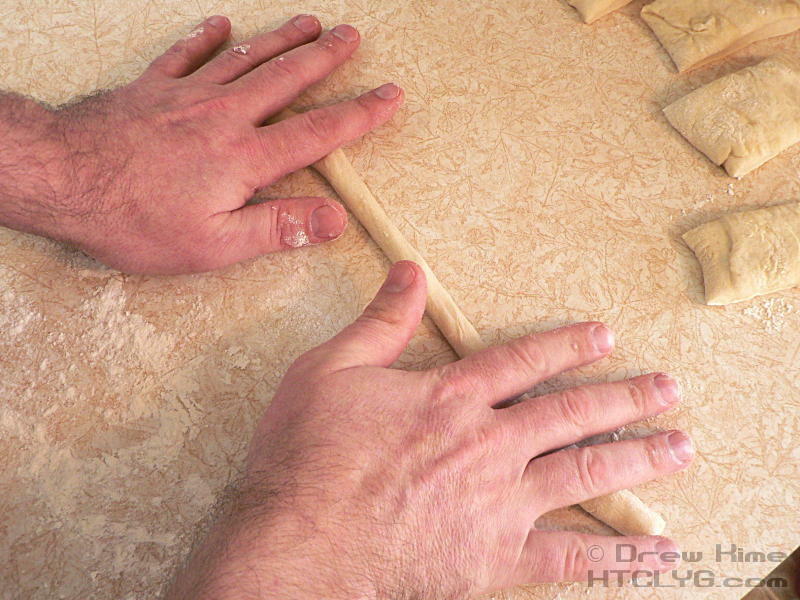 Roll each piece into a long thin rope the thickness of your pinky finger. 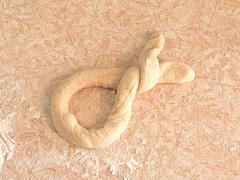 Twist the ends around twice and press them down onto the un-twisted side. 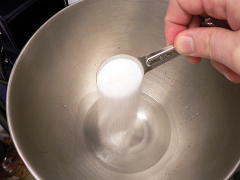 Place them on a baking sheet and freeze until they are firm. Mix the baking soda with 10 cups of water and bring to a boil. Poach each pretzel, one at a time, for a minute each. 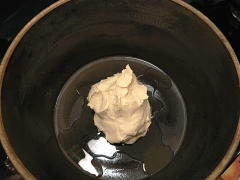 Drain and place on a greased baking sheet. Mix the egg with a tablespoon of water, and brush the pretzels with the egg wash. Top with coarse sea salt. 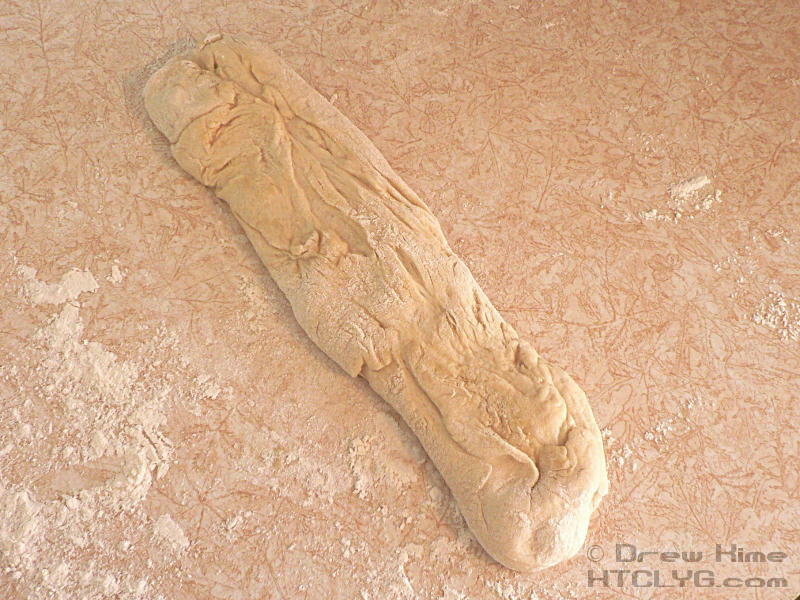 Bake at 400° for 15 minutes, until dark brown.